The next Tapa Variations Contest is coming up: TVC XVIII. Once again, Bram is kindly sharing a set of practice puzzles (intro, part 1). To give a little bit back, here’s one more Tapa LITS. One other of the types that will show up is Different Tapa, so solve the one from this blog if you haven’t: Puzzle 70: Different Tapa. 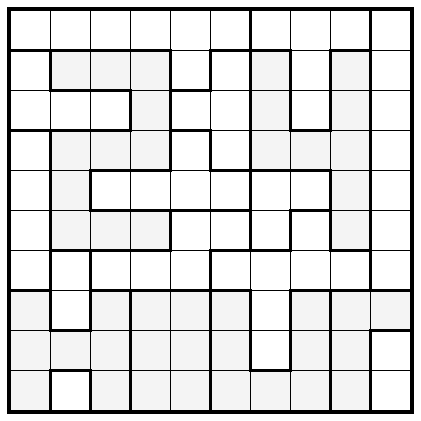 Rules Solve as a standard Tapa. 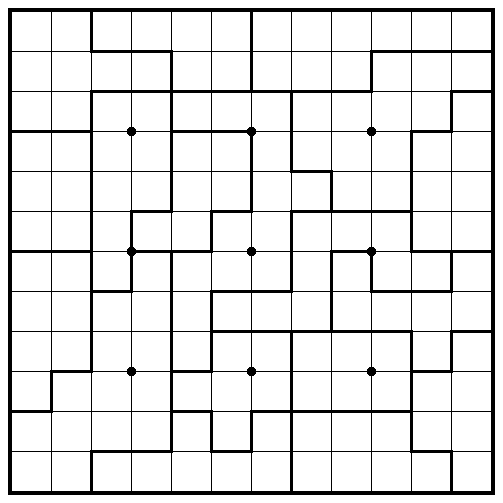 In addition, the shaded cells must form a valid LITS solution (minus the rooms), i.e., the wall consists of tetrominos, and similar tetrominos can’t touch by edge. This entry was posted in Puzzles and tagged lits, practice, tapa, variant on 2016-01-14 by rob. If you’ve struggled with that second symmtric LITS from my 24h set, here’s how to solve it. This entry was posted in Walkthrough and tagged lits, symmetric lits on 2015-05-17 by rob. A second symmetric LITS. 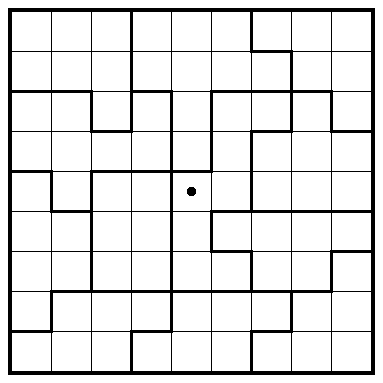 As before, solve as LITS, such that the shaded cells are symmetric around the centre. This entry was posted in Puzzles and tagged lits, medium, symmetric lits, variant on 2014-11-04 by rob. This entry was posted in Puzzles and tagged lits, lits plus, medium, variant on 2014-03-19 by rob. 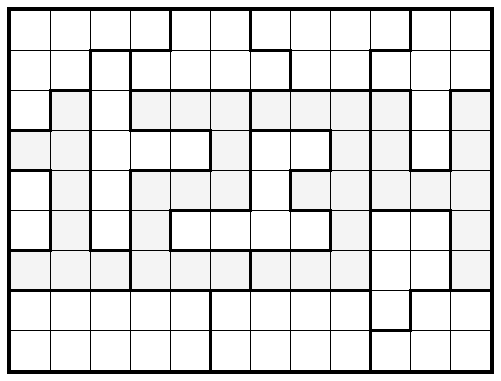 Here’s another LITS+ puzzle. I wonder if this one might qualify as “hard”? This entry was posted in Puzzles and tagged lits, lits plus, medium, variant on 2014-03-02 by rob.